Free event, open to all; no registration required. American Sign Language interpretation will be provided at this event. 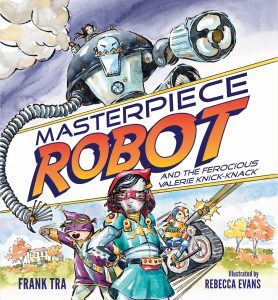 Face off against six wily picture book authors and illustrators and win a signed book! Can you spot which book excerpts are real and which are clever fakes? Co-sponsored by the Society of Children’s Book Writers and Illustrators MD/DE/WV Region. Lulu Delacre has been writing and illustrating children’s books since 1980. Born and raised in Puerto Rico to Argentinean parents, Delacre is a three-time Pura Belpré Award honoree. 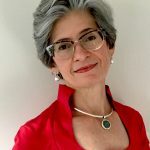 Her thirty-eight titles include Arroz con Leche: Popular Songs and Rhymes from Latin America; Us, in Progress: Short Stories About Young Latinos; and ¡Olinguito, de la A a la Z! Descubriendo el bosque nublado/Olinguito, from A to Z! Unveiling the Cloud Forest. 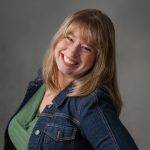 Delacre has lectured internationally, served as a juror for the National Book Awards, and exhibited her work at The Eric Carle Museum of Picture Book Art, among other venues. 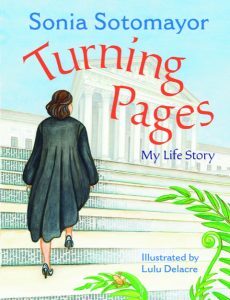 Rebecca Evans worked for nine years as an artist and designer before returning to her first love: children’s book illustration and writing. Her children’s books include Someday I’ll Fly; Friends in Fur Coats; The Good Things; Jasper Finds a New Home; The Shopkeeper’s Bear; Naughty Nana; Amhale in South Africa; Vivienne in France; Mei Ling in China; Marcela in Argentina; Tiffany in New York; and Tatiana in Russia. 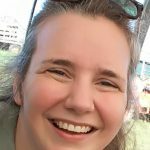 She lives in Maryland with her husband and four young children, shares her love of literature and art regularly at elementary schools, teaches art at the Chesapeake Center for the Creative Arts, and works from her home studio whenever time permits. 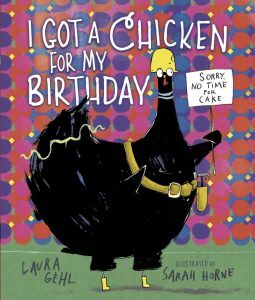 Laura Gehl is the author of picture books with humor and heart, including One Big Pair of Underwear, the Peep and Egg series, My Pillow Keeps MOving, and I Got a Chicken for My Birthday, which received a starred review from Kirkus. Upcoming releases include Dibs! (Lerner), Except When They Don’t (Little Bee) and the Baby Scientist series (HarperCollins). Laura lives in Chevy Chase, MD with her husband, four kids, and a large stash of dark chocolate. She has never received a chicken for her birthday…but she hasn’t given up hope yet, either. 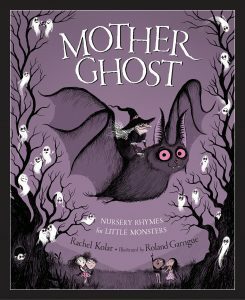 Rachel Kolar is the author of Mother Ghost: Nursery Rhymes for Little Monsters, which is about her favorite subject: Halloween. She has also written several short stories for adults, most of which fall under the umbrella of dark fantasy or light horror. A graduate of Kenyon College, Rachel lives with her husband and three children in the Baltimore/Washington area, where they enjoy hiking, playing overly complicated board games, and plotting new ways to terrify trick-or-treaters. 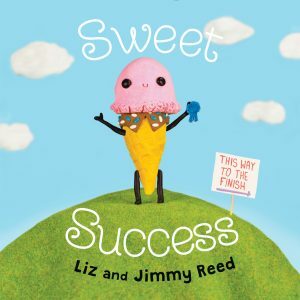 Liz and Jimmy Reed are the husband-and-wife team behind Cuddles and Rage, a world full of disturbingly cute stories with heart. 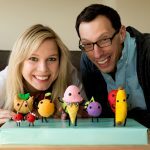 What began as a webcomic featuring doodles and dioramas of anthropomorphic food has grown to include books, animation, and product design. Their work has been commissioned by Netflix, TLC, the Science Channel and Awesome Con, as has been featuring by Nerdist, The Washington Post, NPR, HelloGiggles, and SparkLife, among others. The couple currently live in Columbia, Maryland. 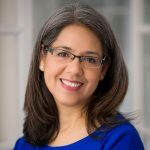 Patricia Valdez is a scientist and author with a Ph.D. in Molecular and Cell Biology from the University of California, Berkeley. 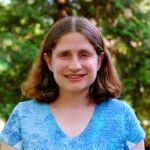 She currently works at the National Institutes of Health (NIH). Originally from Texas, Patricia now resides in Maryland with her husband, two children, and three cats. She and her family are big fans of the National Zoo’s Komodo dragon, Murphy. Patricia is represented by Alyssa Eisner Henkin of Trident Media Group. 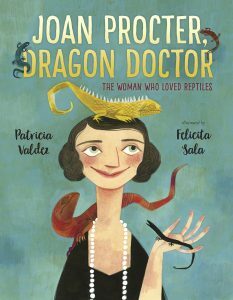 Joan Procter, Dragon Doctor is her first picture book.